PAMPLONA —22/11/2017— ATP stands out once again in the public lighting industry launching the revolutionary universal KitLED® with its exclusives Laminar Heatsink® and Comfort Diffuser®. This device allows to quickly, easily and inexpensively upgrade any discharge luminaire, from any manufacturer, to the most advanced LED technology on the market, only offered by ATP. 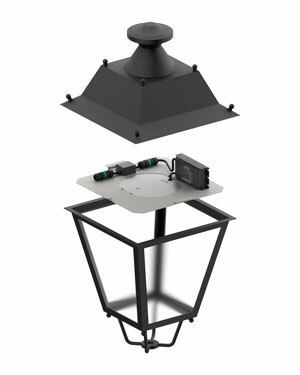 With this innovation, the old light source is replaced by a highly evolved LED unit with its respective power supply, all perfectly adjusted to the original streetlight. The different parts of the kit are assembled to make a single compact and functional block, with an adaptable attachment and an IP68 plug & play tubular connector specially designed so that the replacement is totally safe and can be done in a very short time. 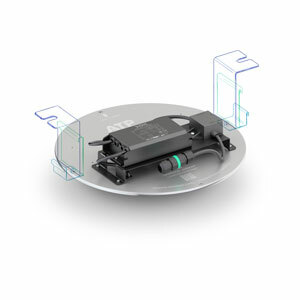 One of the essential features of this upgrade kit is that it integrates the latest two developments designed and patented by ATP for public LED lighting: the Laminar Heatsink®, an exclusive thermal management system that solves the overheating of the LED modules and therefore substantially extends their lifespan, and the Comfort Diffuser®, a screen made of technical polymer that filters the light from the diodes and mitigates the dazzle of pedestrians without compromising in the slightest neither the efficiency nor the lighting performance. Together, these two technologies offer the ultimate solution to the main drawbacks that LED has shown in recent years. 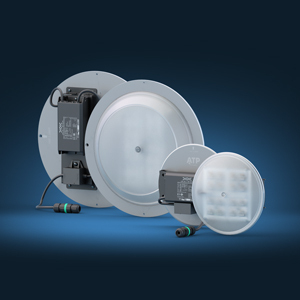 With a much lower investment than what the complete replacement of the luminaires would entail, the substitution of the discharge lamps by this universal kit allows to obtain every single advantage of ATP's LED public lighting, such as significant energy savings (in upgrades of inefficient exterior lighting, savings of more than 50 % are achieved); an exceptional performance, higher than 75 %, thanks to the advanced optical and light studies carried out by the firm, and a drastic reduction in light pollution (in many cases, 0 % of upper hemisphere flux or UHF is reached). The electrical strength and the hermetic seal are other of the main features of the kit. On the one hand, this upgrade unit is one of the few on the market that is supplied with a surge protector of 10 kV / 10 kA external to the electronic gear and connected in series to the mains. In addition, this accessory incorporates a LED operation indicator for its status check. Since the diodes technology is particularly fragile to transitory surges that may come from the electrical grid, a protector like this one is indispensable to ensure the correct performance of the LED and also to maximize its lifespan. On the other hand, as happens with all ATP luminaires, the KitLED® has an IP66 category, which means that it is completely sealed against liquids and solid particles. 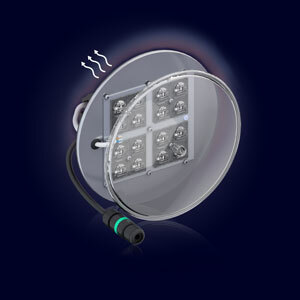 This feature is not limited, as in the case of other manufacturers, to the LED module itself, but extends to the entire kit, including all intermediate and power connections. All parts of the device are sealed as if it were a single IP66 block, which is an important difference from other upgrade kits available in the market, where the connections between the driver and the module are made using old power strips with no protection against water and dust. In addition, the Comfort Diffuser® preserves the lenses in an IP66 sealed compartment, so it can be cleaned without deteriorating them and therefore alter the photometric distribution of the luminaire. The sealing of the unit is completed by the IP68 connector, which is plugged into the existing power supply. Another key advantage of the kit is that, if the replacement project is carried out on streetlights of other manufacturers or is otherwise required, ATP can take care of the CE marking of the luminaire to be updated in order to offer the maximum guarantees of safety in the final product. Proceeding this way avoids situations of electrical and mechanical risk that may be caused by the company providing the kit. To carry out this task, ATP requests a copy of the luminaires to be modified and takes it to its facilities, where all relevant mechanical and photometric tests are performed. The firm thus ensures that the result of the replacement is a safe product that reaches the best possible light results within the limitations imposed by the original streetlight and its condition. The ATP Universal LED Kit is available for any type of existing luminaire, from the classic and even historical ones to the modern road or urban streetlights, and can replace both a lamp holder or an optical block. This kit is manufactured according to ATP's rigorous quality standards and has been designed to last, in line with the criteria that earned the company the ISSOP seal (Sustainable Innovation Without Planned Obsolescence, in Spanish). Like the rest of the firm's products, this innovation has an extraordinary resistance even under the most severe conditions and has a warranty of 10 years, the longest in the industry.